Fashion is more of a personal statement and less of a compulsion is the modern era. The spotlight is on MySpace fashion layouts for covering up the loose ends. These fashion layouts come with awesome designs and graphics which can be used for personal use and also for certain professional marketing campaigns. 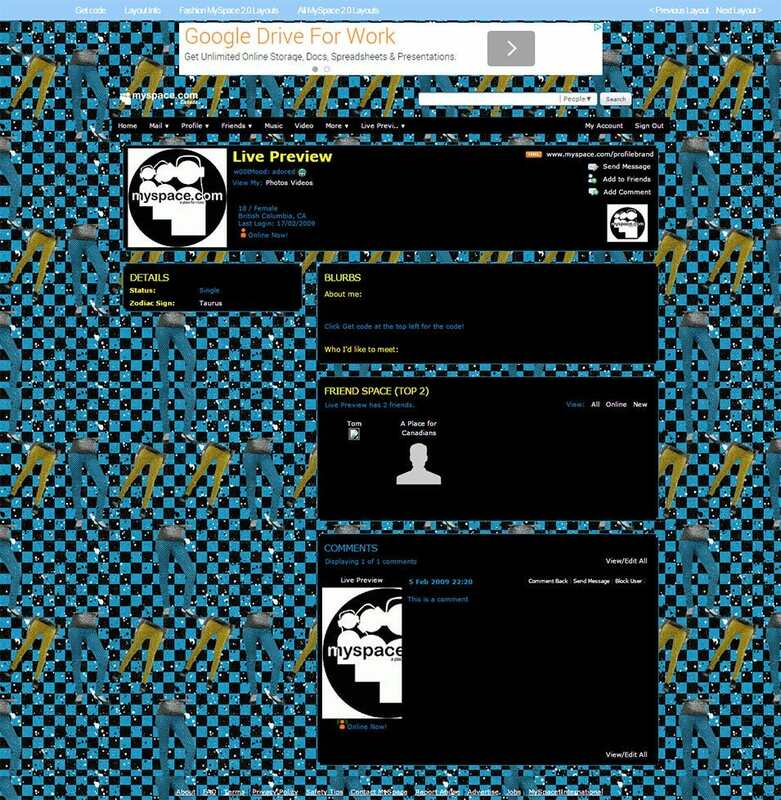 MySpace being a social networking site has many admirers and these layouts allow us to be recognized over there, thus enhancing the online reputation. Pictures and color combinations are available in plenty whereas these can be customized as well, based on the myriad user requirements. One can modulate the way any profile page looks over the social networking site and these top rated layouts come in handy for the designers. 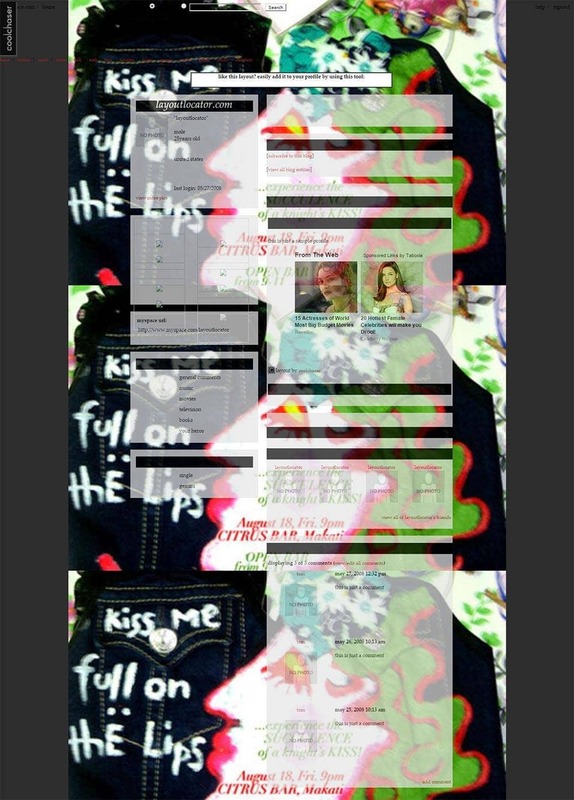 Easy to read and attractive to look, this is the task a good MySpace fashion layout should accomplish. This Ed Hardy Geisha layout has its own value in the sense that it allows you to create a visually attractive MySpace page that will be different from your competitors. 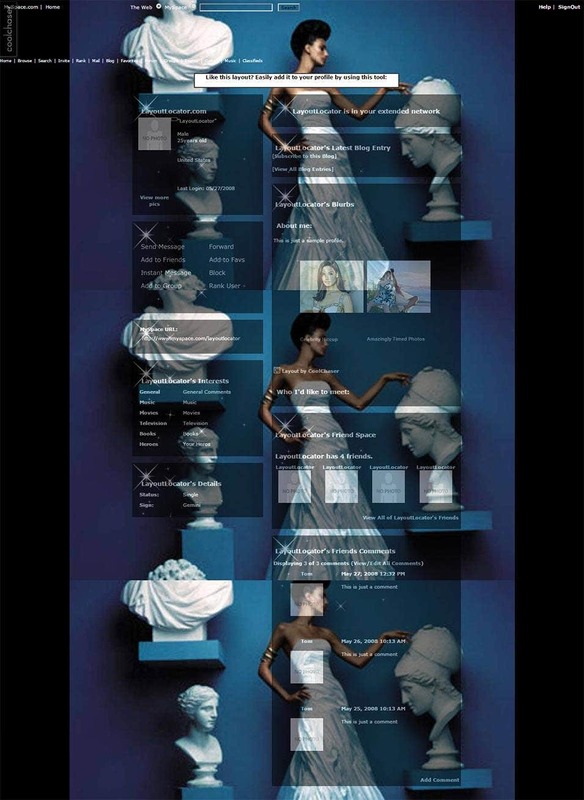 Each fashion business has a target audience of its own, and it is important to design your MySpace layout according to their requirements and expectations. With a whole lot of colors, illustrations, fonts and other options, this layout is sure to communicate your information in the market in a positive way. 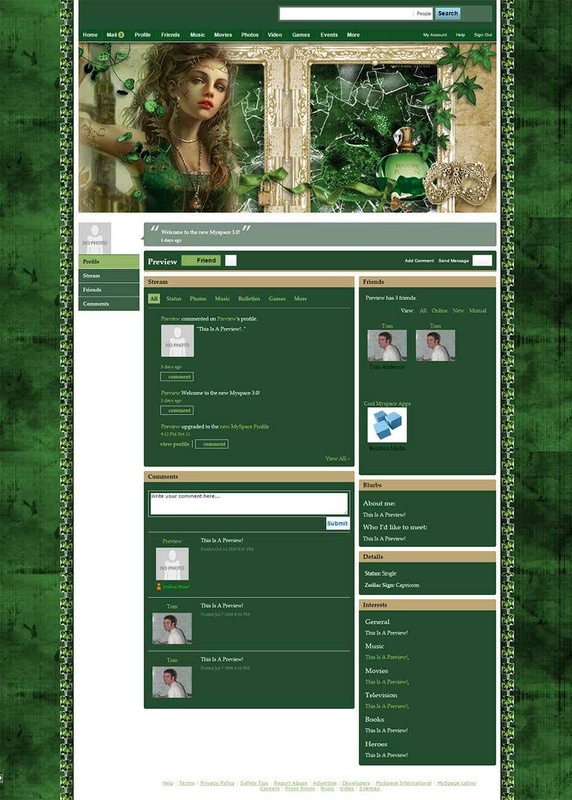 With Vintage, we have come up with a MySpace layout that is suitable for fashion, cosmetics, modeling, hairdressing, etc. It is a perfect template for fashion related ecommerce, particularly online fashion shops. This is specifically designed for MySpace, and its responsive design can be accessed similarly from almost any screen size. Tendre Poison is a perfect layout for those interested in building a MySpace fashion page that is unique to their business. 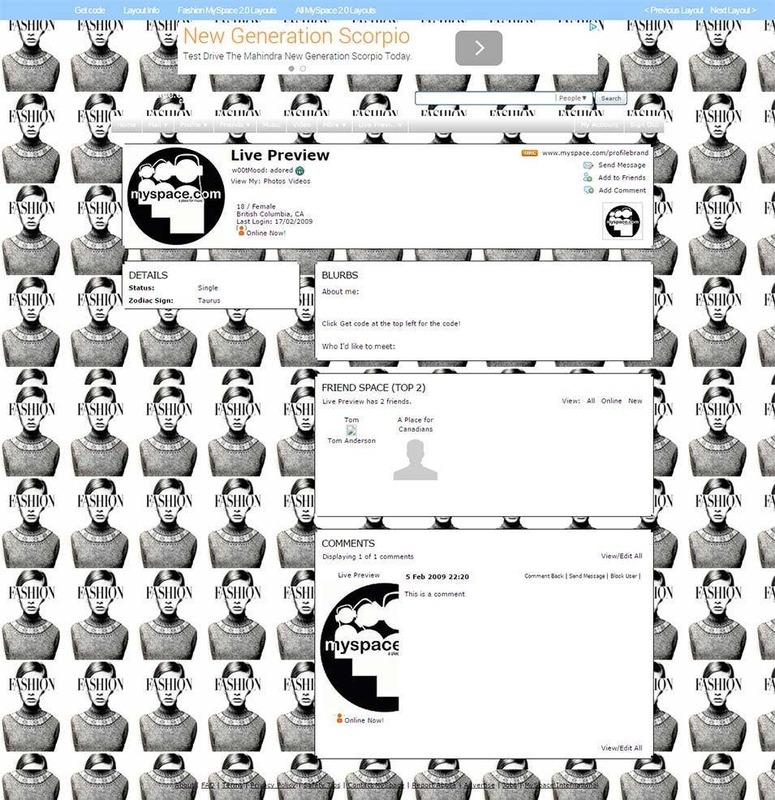 You will really enjoy doing all the processes of building your MySpace page using this layout. Thanks to its responsive design, your customers can open it from their mobile devices as well. Thinking of building a MySpace fashion page for your shoes store? 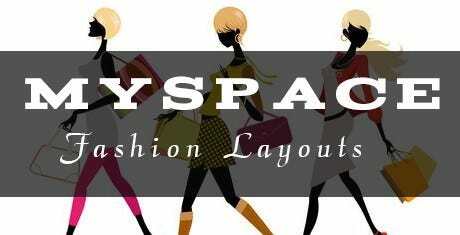 From MySpace fashion layouts like Vintage, you can find new ways of getting involved in the worldwide world of style. This layout takes a look at some of the best selling MySpace fashion themes available out there. The checkard skinny jeans style theme for MySpace bloggers is an ideal jump off point for fashion related business owners. The layout is perfectly designed to match the aesthetics of today’s fashion blogging industry. 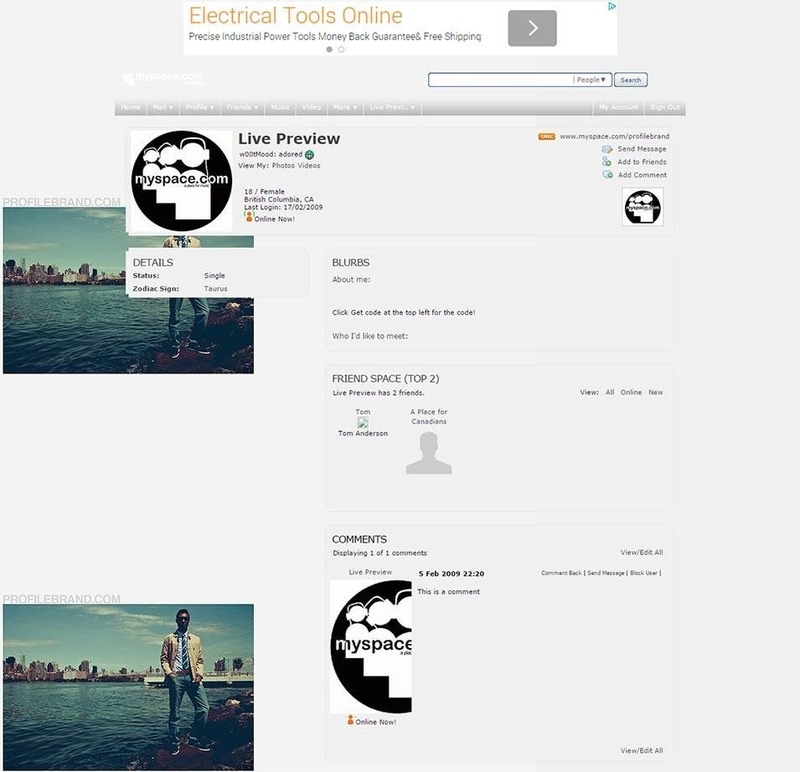 If you are looking for a layout to try on your MySpace fashion page, this template should be it. High Fashion is the ultimate MySpace fashion layout for a fashionista. Whether you are just starting out with MySpace, or you have been on the platform for years, you can use this layout to give an all new look to your MySpace page. It is 100% customizable as per your individual needs. If you are looking for a fully featured MySpace fashion layout that will put your content on the center stage, then look no further. Juicy Couture Collage template will provide you a brilliant canvas to work on. It can prove to be an ultimate layout to showcase your collection. Build the ultimate hairstyles layout using this colorful hairstyles MySpace fashion layout. It comes with every tool that you require to build a successful MySpace page for your business. With multitude of shortcodes, you can fully customize it to enhance your content and highlight your best points. 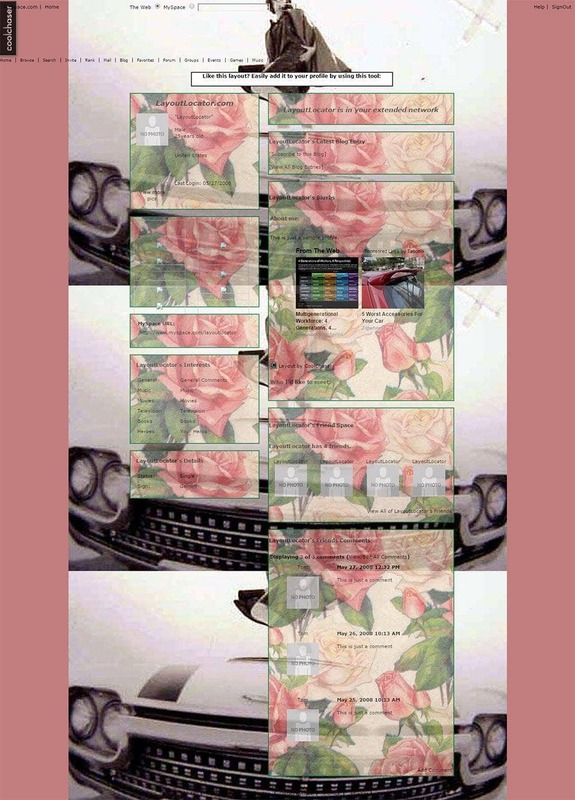 Vintage Rose is a modern, super-clean MySpace fashion layout that offers a large suite of options, including unlimited shortcodes, colors, custom widgets and typography. You can use the appropriate ones to make your MySpace page look unique and amazing. Customize it as per your needs, and access from a variety of mobile devices. Jimmy Choo is a light, pretty MySpace fashion layout that is great for bloggers in the fashion industry. 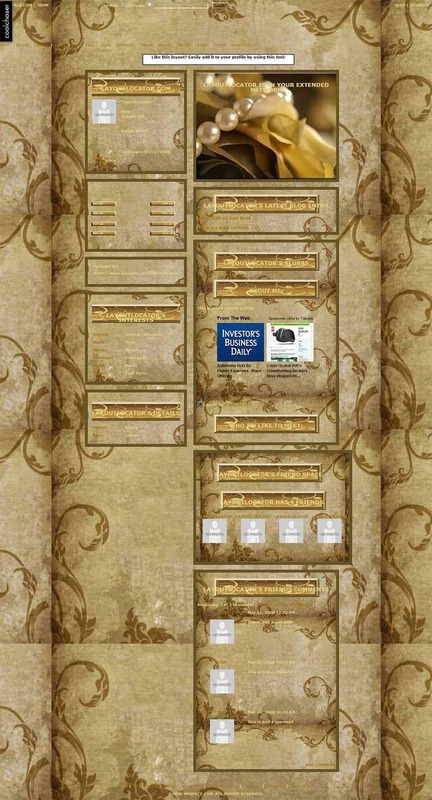 It is widget ready, and fully responsive to support different screen sizes. With a fully packed panel of options, you can totally customize your MySpace page as per your personal requirements and preferences. 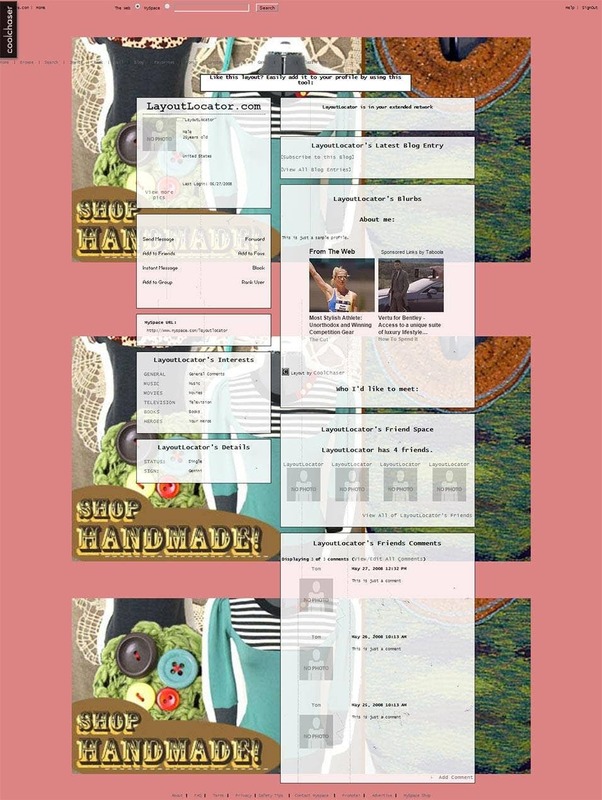 This Light Fashion Collage layout is a multi=purpose MySpace fashion theme built on the framework of customizability. 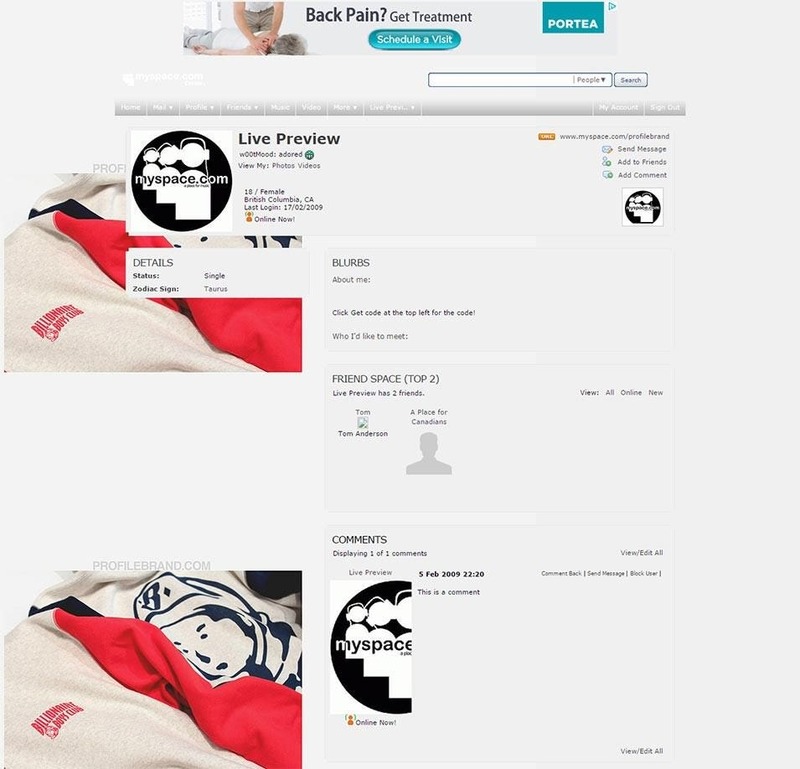 It includes a full portfolio of options to customize the layout as per your likes and dislikes. Use the variety of shortcodes available to easily and quickly customize the layout to highlight your best products. 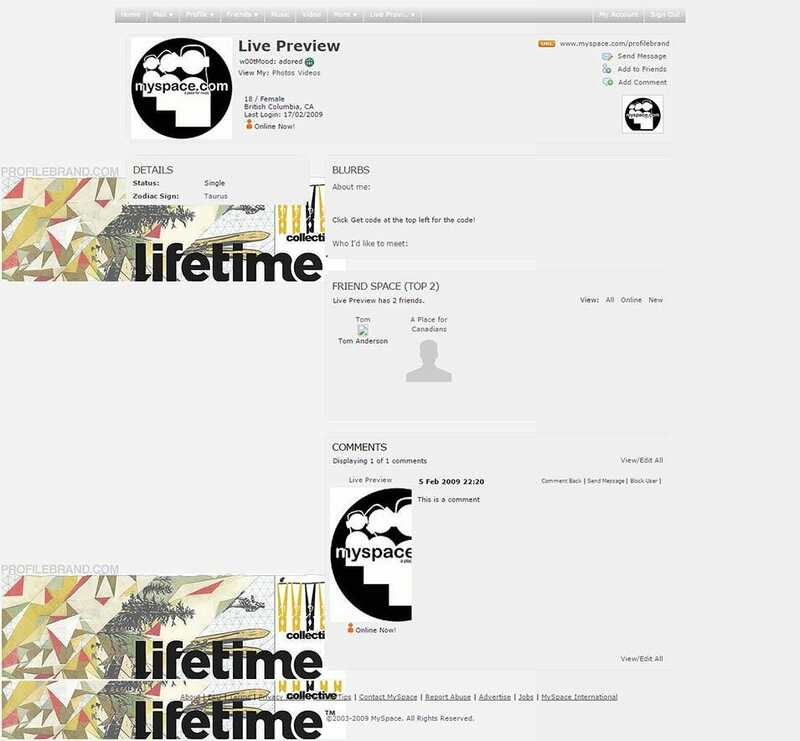 LifeTime Collective is a brilliant MySpace layout that is perfect for a fashion blogger. With so many color and layout options, you can organize your MySpace page as per your needs. Its responsive nature can be used to access the page from almost any device, whether mobile phone, tablet or laptop. Nicki Minaj is a minimal MySpace layout that works perfect well for a fashion and beauty web page. This is an image-rich layout with interesting typography and clean lines. 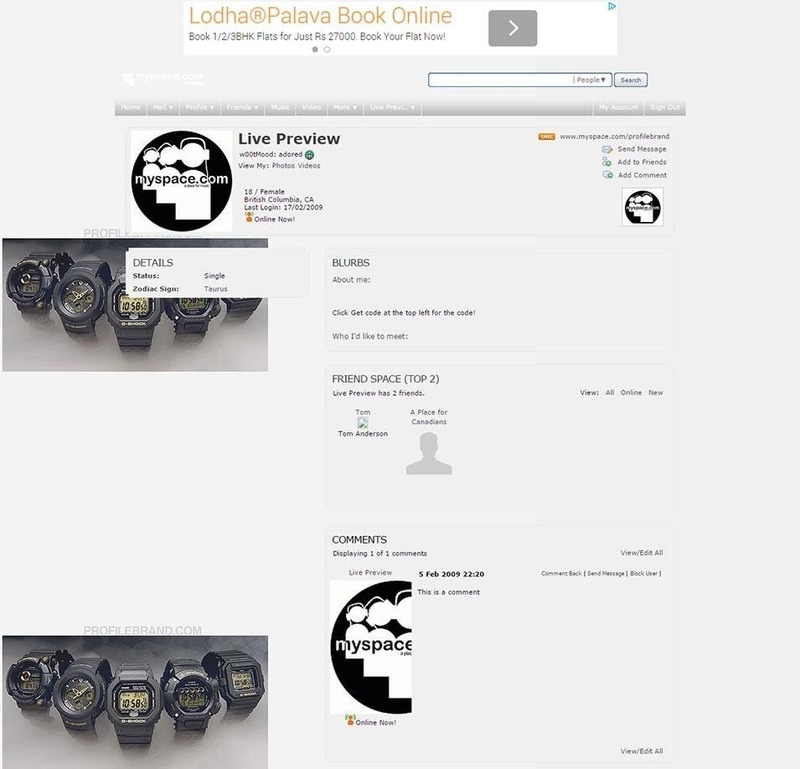 The layout has been coded with HTML and it is fully responsive to work well with different screen sizes. These layouts are either free or premium, depending upon the usage and also the set of features available. All the MySpace versions are supported and the addition to optimized texts further improves the performance. Once the best possible layout is selected, it has to be installed and activated for being noticed. Choices are available in plenty and the professionals need to finalize the most suited one for the given cause. MySpace is one of the most popular social networking sites that are used not only by individuals, but also by businesses. Having a unique MySpace page enhances your online reputation for sure. These best free MySpace fashion layouts allow you to make fully customized MySpace pages with ease. They are responsive in nature, due to which they can be accessed from almost any screen size. 12+ Digital Marketing Plan Template – Free Sample, Example, Format Download!